With a rapidly growing population, we must think differently about water if we want to ensure food security, conserve delicate ecosystems and reduce poverty by 2050. Fatoumata Kebe’s project CONNECTED ECO, a winner of ITU Telecom’s Young Innovators Competition, addresses this issue head on. I am an aerospace engineer, but a 2009 trip to Mali provided inspiration for CONNECTED ECO, a social mobile farming solution which hopes to address the looming global water and food crisis. From a young age I have been fascinated by space, looking at pictures in astronomy books before I could read. I hold an MSc in Fluid Engineering and I am in the third year of my PhD in Astronomy at Pierre and Marie Curie University in Paris. I have also had some incredible opportunities: I have studied in the USA and Japan, and interned at the French National Center for Scientific Research (CNRS) and European Space Agency (ESA) where I worked on the Venus Express mission. I am also part of the Space Generation Advisory Council (SGAC) which mobilizes the creativity and enthusiasm of youth to contribute to international space policy issues such as exploration and the harmonious use of our orbits. This may not be the background that you expect for an agricultural social entrepreneur. I was invited to Mali as part of the International Labour Organization’s Transfer of Knowledge through Expatriate Nationals (TOKTEN) programme which returns expatriates from developing countries back to their country of origin for a short period of time on a voluntary basis to share expertise and skills with local people to aid development. Through the programme I had the opportunity to meet people working in Mali in several areas such as agriculture, women empowerment and education. I had a lot of discussions with my neighbours, with members of a women’s cooperative and some farmers. I was shocked when I heard that the farmers were not able to produce enough food to feed their families and had to sell a large proportion of their produce to pay their bills or to have access to healthcare. I wanted to do something to address both of these issues which could start from a small number of people and spread all over the continent. 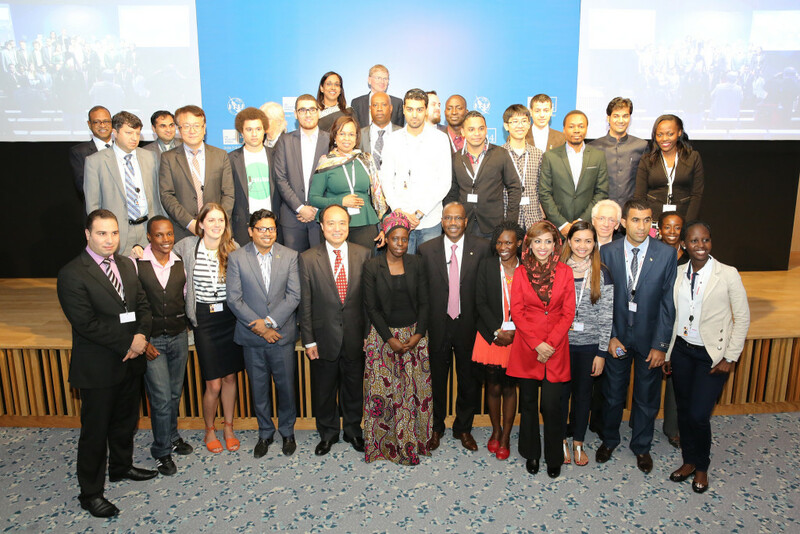 ITU’s Young Innovators Competition was exactly what I was looking for to achieve these goals. The Internet of Things (IoT) challenge would enable me to work on issues that I had been thinking about for years: water, agriculture, environment and women’s empowerment. I started developing the idea of a social m-Farming project by looking at some concrete facts: by 2050, the world’s population will increase by a third, rising from 7.2 billion today to 9.6 billion. Most of these additional 2.4 billion people will live in developing countries. If current income and consumption growth trends continue, it is estimated that agricultural production will have to increase by 70 per cent by 2050 to satisfy the expected global food demand. At the same time, women in developing countries do almost as much work as men in the field together with other household duties. Additionally, literacy and education rates among women are incredibly low: in Mali, only 20.3 per cent of women are literate and only 23.1 per cent of teenage girls go to secondary school compared to 36 per cent men. Agriculture in the developing world must therefore transform itself to feed a growing global population and provide the basis for economic growth and poverty reduction. Therefore, my project would need to address two challenges. Firstly, how water is managed will be at the centre of this problem as it plays a critical role in crop production. Tomorrow’s water management challenges differ greatly from those of recent decades; agriculture is already the largest consumer of freshwater, and agricultural smart water management will be a key policy issue for the 21st century. The key to the solution is knowing the right time and volume of water to irrigate, however additional factors such as management practices, technological advances, market prices and agricultural policies must also be taken into consideration. Secondly, providing women access to education is a cornerstone to achieving poverty eradication and economic growth. However, the impact that this will have will depend on the type of investment, both social and educational. Steps must therefore be taken to ensure women’s inclusion, not only in the classroom but in society generally. CONNECTED ECO addresses the need for a new agricultural model to ensure that enough quality food is produced where it is needed most while preserving the natural ecosystem, and encourages women’s empowerment through digital training. CONNECTED ECO is a win-win solution capable of meeting the different needs of farmers, local communities and global consumers, to create common advantages. CONNECTED ECO is a social mobile farming solution that takes advantage of existing IoT technologies that are readily available in the developed world, and transforms their potential into a sustainable business model. The start-up capitalizes on existing IoT capabilities, integrated with a specially designed smartphone app to create ‘smart farms’, where ecological processes are monitored in order to facilitate ‘smart’ water management and deploy irrigation more accurately. By bringing the cheapest, most suitable and sustainable sensors to Mali we can begin to develop smart sustainable farming: reducing water waste, increasing agricultural yield and promoting digital literacy among female cooperative farmers. The Concept: How does ‘m-Farming’ work? By collecting live data on crop and soil conditions, CONNECTED ECO facilitates customized farming to maximize agricultural yield. Farmers will be given wireless IoT sensor developed by a technology partner which are programmed to measure vital agricultural data points including humidity levels, light intensity, soil moisture and electrical conductivity. These statistics are transmitted via Wi-Fi to an integrated smartphone app – or SMS to low-end handsets – to give real-time information on prevailing conditions. Users can access charts and graphs via the app’s dashboard which analyses the data over periods of time and compares measurements to a database of local meteorological conditions. Accessing detailed information about their land, farmers will be able to refine their agronomic techniques, reduce crop stress due to overwatering and therefore reduce water waste. The app advises farmers about both the optimum time of day and volume of water to irrigate, allowing farmers to develop tailored solutions for their land. By automating the water system, the mobile app can also deploy and control the water flow to crops thus regulating irrigation more effectively. A solar-powered water valve is a flow device which, when attached to a drip irrigation system, allows for the most efficient watering possible. Thus this project will prevent both damage due to drought and excessive watering. To access the services provided by CONNECTED ECO, farmers will need access to a Wi-Fi hub. Improving agricultural water management for a 2050 market requires a learn-by-doing, flexible and adaptive approach like our project. In addition to helping farmers cut costs while increasing the productivity of the land, CONNECTED ECO’s business model promotes social sustainability and poverty reduction. The United Nations assert that educating girls and women could ‘hold the key to breaking the cycle of poverty’, giving them the skills to find employment and become entrepreneurs, generating economic growth. ITU is instrumental in training women in developing countries in vital ICT skills through such programmes as the ITU Digital Literacy Campaign in partnership with telecentre.org, which has trained over a million women to become digitally literate, enabling them to access the labour market. Using CONNECT ECO’s Internet of Things-enabled sensors and smart phone application empowers a new generation of digital citizens. People with no knowledge of software development can be easily trained to use the technology. Our model will focus on educating female cooperative farmers how to use CONNECTED ECO’s technology, improving their computer literacy and empowering them to be more successful in agriculture. Therefore, CONNECTED ECO’s model serves a social purpose: the integration of people that are marginalized in the labour market, working to reduce global poverty. I will organize special training sessions and work to enable the local environment so that women can teach other women, thus contributing to sustainable, self-sufficient capacity-building efforts. I have identified a cooperative of women in Kati, Mali, that could be trained to use our IoT devices. We are currently finalizing research and development, but have already identified an agro-ecology farm in Mali to test and refine the capabilities of the CONNECTED ECO project. Once the testing period is finished, CONNECTED ECO will be deployed across Mali using IoT sensor developed by a technology partner. Eventually, we hope to see this project implemented across West Africa. 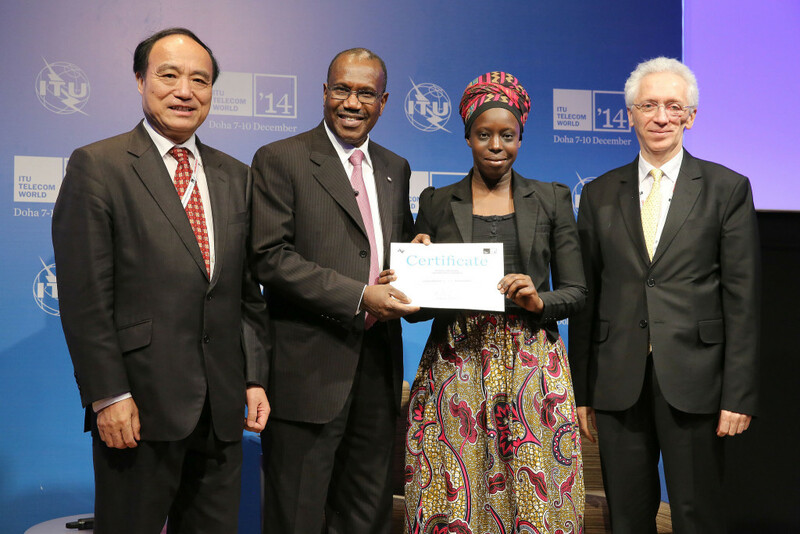 As a winner of ITU Telecom’s 2014 Young Innovator’s Competition, the visibility gained will help to accelerate the implementation of the project so we can begin solving the problem of agricultural water management and encourage women’s empowerment in Mali. ​This year, I hope to complete pilot testing in Mali. In the next five years, I hope that the women who use the CONNECTED ECO programme are elevated within society. I am confident that women will increasingly be recognized as important to advancing development and take leadership in social, economic and political fronts – and I want to be part of that process. In the longer term, I hope that CONNECTED ECO transforms the way that Africa thinks about agriculture and irrigation – Africa has the opportunity to be a leader in agro-ecology, consequently becoming the granary of the world. On a personal note, once my thesis is completed, I would like to work towards the preservation of the environment in space and on Earth. I hope to one day be the CEO of a space and Earth environmental company. ITU have teamed up with the World Health Organization (WHO) to develop the ‘Be He@lthy, Be Mobile’ initiative which uses mobile technology to help governments implement programmes to prevent and manage non-communicable diseases like diabetes and respiratory diseases, and promote wellness. affordable digital financial products that better respond to the needs of the unbanked and their circumstances. This is particularly true for poor people in rural and remote areas who can now be reached by leveraging the large uptake of basic mobile devices like feature phones and the presence of a growing network of agents allowing customers to deposit or withdraw money. ‘Mobile Money: Getting Banking Services to the Poor’ (22 July 2014). ICT can be a strategic enabler for smart water management policies and surveys upcoming ICT standards that will enable smart water initiatives. digital literacy training to over a million women in 79 countries.Basic digital literacy training opens the door to many skills needed to succeed in today’s broadband environment, including financial literacy skills and ICT-enabled career training. Training enables women to set up online businesses and to use broadband services, such as social networking sites, to enhance their economic activity. 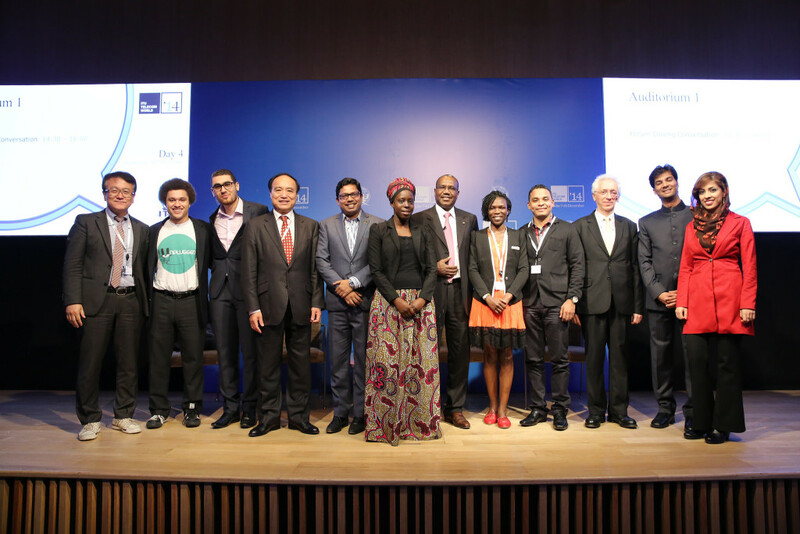 Digital Opportunities: Innovative ICT Solutions for Youth Employment casts a spotlight on digital jobs and entrepreneurship opportunities. The report highlights and differentiates the essential skills young graduates need to excel in the 21st century workplace, including computer literacy, digital literacy and web literacy. ITU’s 2013 ‘Measuring the Information Society’ publication included the first in-depth analysis of young people’s use of ICTs, with a special focus on ‘digital natives’. Who are ‘digital natives’? How many are there around the world? What trends can we expect to see in the future?